Animal Prints Available in 2-3 Colors. 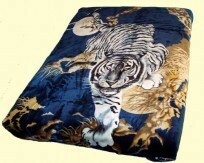 Solaron Blankets will last more than 15-20 years! Machine Wash Cold, Tumble Dry. These Korean blankets come straight from South Korea. Copyright © 1999 - 2019 Imported Blankets.